Contains only 4.7g of simple sugars. 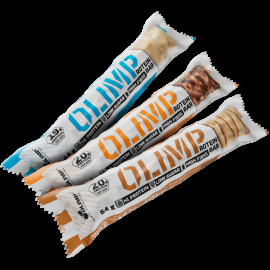 High protein content - up to 21%. By buying this product you can collect up to 8 loyalty points. Your cart will total 8 points that can be converted into a voucher of 0,24€. 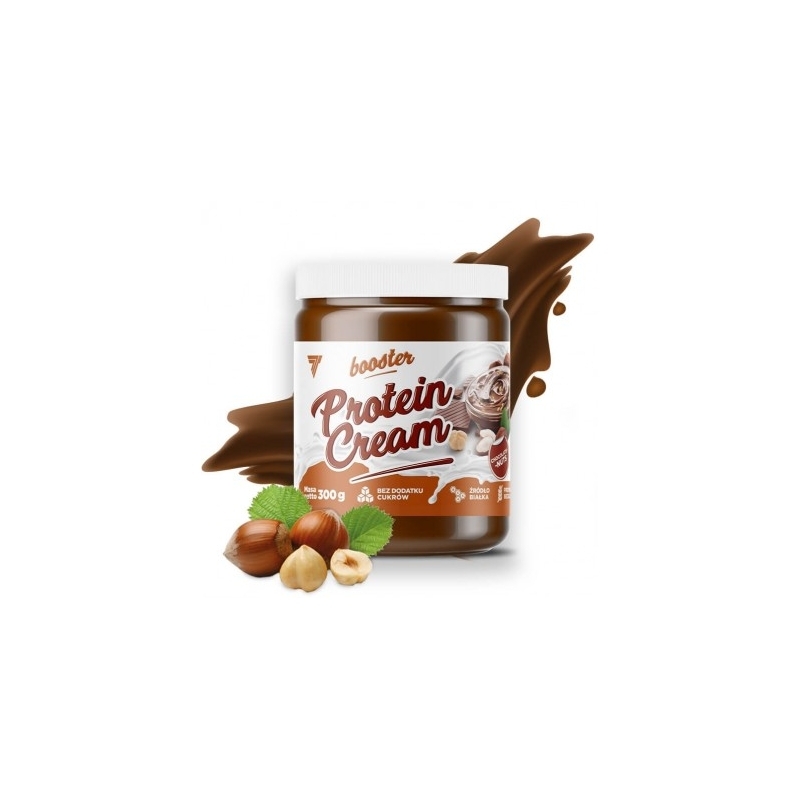 Protein spread with hazelnuts and cocoa, without added sugars, contains naturally occurring sugars. Contains a sweetener. 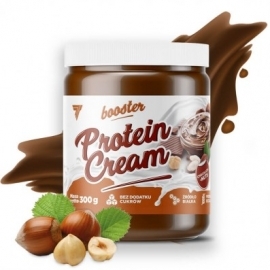 BOOSTER PROTEIN CREAM CHOCOLATE-NUTS is a delicious spread cream sweetened with maltitol. Consuming maltitol-containing food instead of sugar helps maintain tooth mineralization. BOOSTER PROTEIN CREAM CHOCOLATE-NUTS contains plant sterols that help maintain normal cholesterol levels in the blood. A beneficial effect occurs when consuming at least 0.8 g of plant sterols per day. 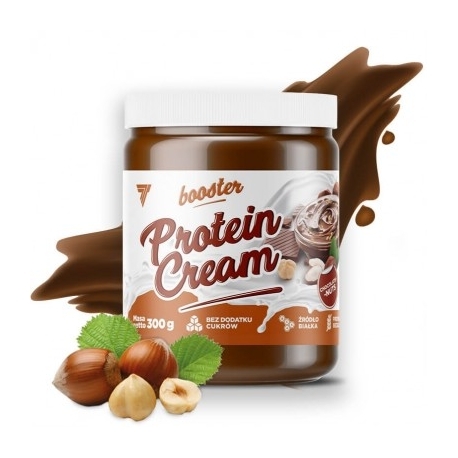 BOOSTER PROTEIN CREAM CHOCOLATE-NUTS contains a full-value protein derived from milk. The product may be delaminated. If you notice an oil layer on the surface of the cream, simply mix it before consumption.